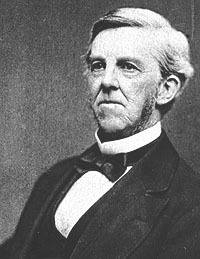 Holmes was the Portman Professor of Anatomy at Harvard Medical School, a pioneer advocate of the scientific method in medical practice. He was a member of the Saturday Club, meeting with such poets as Ralph Waldo Emerson, James Russell Lowell, John Greenleaf Whittler, and Henry Wadsworth Longfellow. He not only wrote for The Atlantic Monthly but provided the name for the periodical. Then order your ascension robe! The Biography of Oliver Wendell Holmes, Jr.